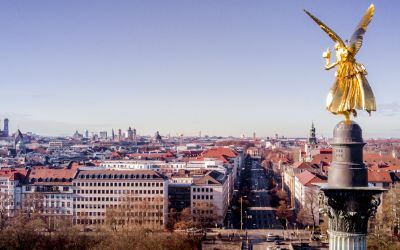 Urban city dwellers and tourists meet at midday at the Viktualienmarkt (a farmers’ market) to eat something small, buy special ingredients from all over the world for dinner, or buy genuine Munich souvenirs and relax a bit in the shade of the chestnut trees. The Victuals Market, only a few steps from the Marienplatz, is Munich's most popular open air market. In the summer, you can quench your thirst from one of the many drinking fountains in the market, such as that of the famous Munich actors Liesl Karlstadt and Karl Valentin. 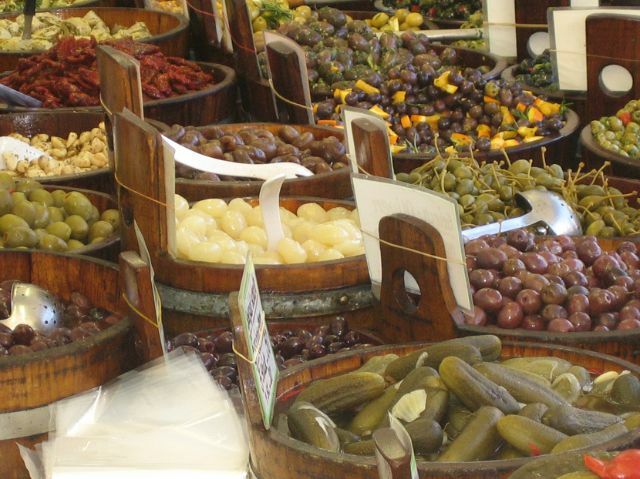 A walk across the "Victuals Market" can be a sensual revelation. 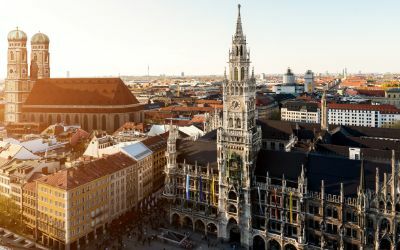 Stalls not only offer the freshest fruits and vegetables in Munich, but traditional Bavarian Schweinshax'n and Speck, sea food, delicious cheeses from all over Europe, herbs, honey products, sushi and hand-made straw puppets are also for sale. Or would you prefer a freshly squeezed apple-carrot-ginger juice? For all those who appreciate culinary seduction of the senses, this is the perfect place to spend your lunch break, get inspired for new creations, and buy those rare and special herbs and spices that can't be found anywhere else in the region. However, although this is its main purpose, the Victuals Market is not only a place for buying and selling : the market also hosts a number of traditional and folkloric events, such as the colorful Fasching festivities and the masked dance of the market women on Shrove Tuesday. Right next to the Victuals Market is the site of the "Schrannenhalle", built under King Maximilian I according to a French model. This was a market hall over 430 m long, where grains were sold, and which burned down in 1932. Rebuilt with the original wrought-iron frames, the new "Schrannenhalle" was inaugurated in September 2005. Housing a market, shops, restaurants and cultural venues, the hall is a meeting place for old and young in the heart of the city.